A reader asked her loan officer for an explanation of the process by which her existing loan was paid off when she refinanced. His answer: incomprehensible! BY JACK GUTTENTAG, MONDAY, OCTOBER 24, 2011. "Basically, the way mortgage companies do payoffs is we take your payoff amount off your credit report plus one month of payment. The reason we do that is because when you make your upcoming October payment, you are paying principle for October, but you're paying September's interest. So when you close this loan -- say, in November -- you still have to account for that monthly interest payment you missed. "So that's why we roll in the whole loan amount, then at closing we net out the principle and escrow portion of it and just make it the interest only. That's why your payoff is showing up higher than the $219,000. But the way that is computed is you will skip one month of payments all together. So (if) you close in November, you will skip December altogether, then start in January." The reader found this answer completely incomprehensible, as did I, and immediately suspected that the loan officer was trying to "pad his profit." The borrower, wary about the loan officer's response, decided to look elsewhere. 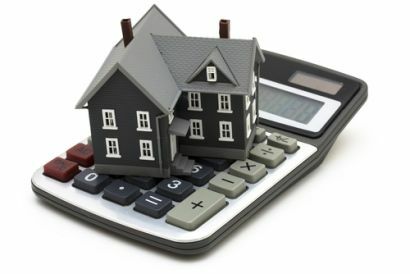 There are many problem areas in the mortgage process that can result in a borrower overpaying, making a poor selection decision, or both -- but the payoff process associated with refinances is not one of them. That's why I have never written about it before. But some borrowers do have anxiety about the process because they don't understand how it works and fear that it could be one more place where they can be ripped off. For the most part, this is not a danger, but the process has a few features that can cost borrowers money if they don't understand it. When you apply for a refinance, one of the documents the new lender will require you to sign authorizes it to request a payoff statement from your existing lender. This is the case even if you are refinancing with the same lender. The new lender should give you a copy of the statement when it gets it. If the loan officer quoted above had simply provided the statement, he could have avoided arousing the borrower's suspicions by spouting gobbledygook. The daily interest covers the period until the payoff date, except on FHA mortgages, where the payment covers the entire month. Evidently, the Federal Housing Administration's accounting system can't deal with days, only months. That means that it is a good idea for borrowers refinancing out of an FHA mortgage to close as close to the end of the month as possible.